Forklift Licence in Central Coast and Other Requirements - Be Certified Today! Obtaining a forklift licence in Central Coast is compulsory if you would like to work an as an operator in warehousing, shipping, construction, retail and manufacturing industries. Over the past decades, there has been a rise in accidents involving forklifts. The common cause of an accident is the lack of operator training. 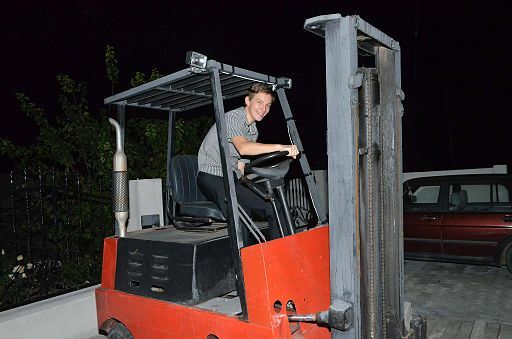 So the very first step in getting employed is to complete the forklift course and later on apply for a licence. Let’s dive into everything you need to know to get your forklift licence. If you are an operator of a forklift or order picker, you need to have a valid and relevant high-risk work licence. In New South Wales, it is the WorkCover that issues high-risk work licences including those for the forklift and order picker. Complete the requirements. The list of requirements is below. Find a registered training organization (RTO) where you can enrol in for a forklift course. The list of RTOs in Central Coast is listed below. The course usually takes 3 days to complete. On the first day, you will undergo classroom training. On the second day, you will perform actual forklift operation so that you can be familiar with the truck. On the third day is the performance assessment. A WorkCover-accredited assessor will evaluate your performance. If you are successful, you will receive your Statement of Attainment (TLILIC2001A - Licence to operate a forklift truck) and will be given interim or temporary licence which he can present to his prospective employer. The trainee will then need to submit the necessary application documents to the nearest Australia Post to apply for photographic HRW licence. You will need HRW licence if you intend to operate forklift and just as I have mentioned above, you need to be trained first by an RTO and evaluated by an assessor before you become eligible to apply for HRW licence. The RTO or assessor will give you the application forms for the application of a new photographic HRW card after you have finished taking the training course and successful assessment. Bring those forms to the nearest Australia Post together with 100 points of identification. You will also need to bring your passport-size photo with your name and birth date written on the back. Applying for a full forklift licence in Central Coast costs around $500 and additional $67 for the application fee which is to be paid in Australia Post. The forklift licence is nationally-recognized and can be used as an official document if you want to work as a forklift operator in other Australia states or territories. The forklift licence or HRW licence is valid for five years from the date of its issuance. To renew it, you need to take a refresher course. Here is the list of forklift training schools in Central Coast where you can get your forklift training. This RTO conducts 2-day training and 1-day performance assessment. To become a forklift operator, you need to obtain an LF licence, here are the requirements that you must meet. To become eligible to apply for an LF forklift licence, you must be at least 18 years old and above. You’ve taken a relevant forklift training course from an authorized registered training organization and completed the performance assessment. Have been evaluated by the WorkCover assessor and deemed competent operator. You must be able to communicate well in spoken and written English. Though, this is only applicable for those whose first language is not English. Please take note that the nature of the training and the actual job itself is physically demanding. Therefore, you must be in good physical conditioning. You must have 100-points of ID. An application fee of $67. One of the best things about being a forklift operator is that no matter where you are in Australia, you will be able to find employment. You can easily find a job in airports, warehouses, and construction sites. Minimum of 6 months experience is required for the job. We can’t deny that experience is important in getting a forklift job whether it is for a short-term contract or long-term placement. The work experience is positively viewed by the hiring manager as a good asset. You can read this guide about getting a forklift job even if you don’t have experience. You need to be keen on details and accurate with the arranging and stacking materials. Being an operator requires you to move materials from place to place. You need be well-organized since your primary job entails arranging of materials. Your forklift licence must be current and valid. If you are from other country who is wishing to work as a forklift operator in Central Coast, your licence is not valid here. You must undertake the necessary training and be evaluated by the WorkCover assessor. The forklift training takes three days to finish including the performance assessment and is intended for workers who want to obtain a licence to operate a forklift. You can take the training and assessment from a WorkCover-approved registered training organization (RTO). The operation of forklift without legal licence is strictly prohibited. It is therefore a legal requirement for forklift operators to have such licence before working with forklifts in Central Coast. Be always compliant with the law.